If you’re a motivated small business owner who wants to create a bit of marketing momentum, the kind that brings in the right customers and grows your business, you need to do a few basic branding exercises first. 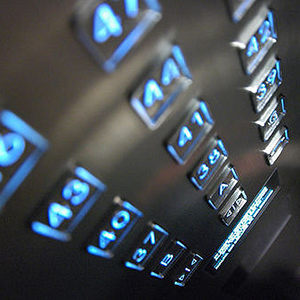 How do you create an elevator pitch for your small business? Is it clear who you are talking to? Does your copy inspire action? Could the person reading your content define what you do using just a few words? Will they know what their next step should be? If not, your brand needs clarity. And the very best way to start is to create a short, sweet elevator pitch. Define your ideal client. Be as specific as possible. This is the one person your really, really want to work with. Their business needs what you have to offer, the prospect of working with them excites you, and this is the type of client that will help grow your business, not weigh it down. Clarify exactly what you do. 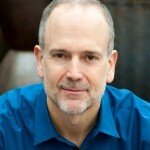 What is your expertise and why do people hire you? If you’re just starting out, simply work to clarify your expertise. What is unique about you and your business? Why are you in business? This why is so important because it makes it easier to tell your ideal customers exactly what’s in it for them. You’ll solve their problems and it will be such a great experience because you love what you do. You then create a short, sweet statement that essentially defines what you do. But the focus on an ideal customer and your why will really help direct you to create a statement—and elevator pitch—that works. Don’t be to general, focus on a specific customer, and bring in a bit of uniqueness. This will help you whittle down your message to something specific that resonates with the right audience. I help motivated small business owners define, develop, and deliver a marketing system built to clarify their message, attract the right customers, and grown their business. If you need help defining your ideal client, clarifying what you do, and fleshing out your why, I’ve created a series called 6 Steps to Bring Your Brand to Life. If you start with the series introduction all about effectively branding your small business, and follow through with all, you’ll be on your way to clarifying your brand message, connecting with the right customers, and growing your business.